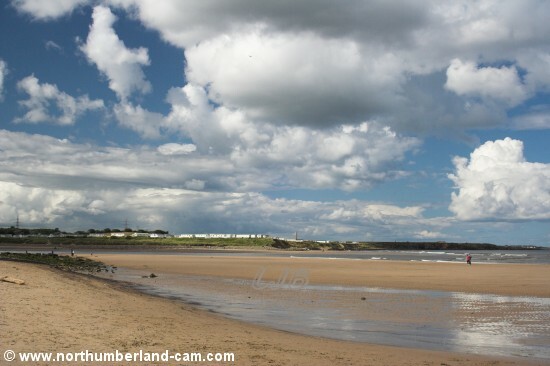 This is a large beach that stretches between the River Wansbeck and the River Blyth. 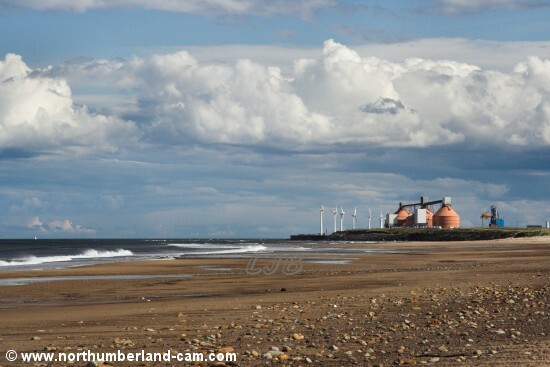 The ugly backdrop of Blyth Power Station and a large foundry are now gone, making this beach more pleasant to visit than in years gone by. 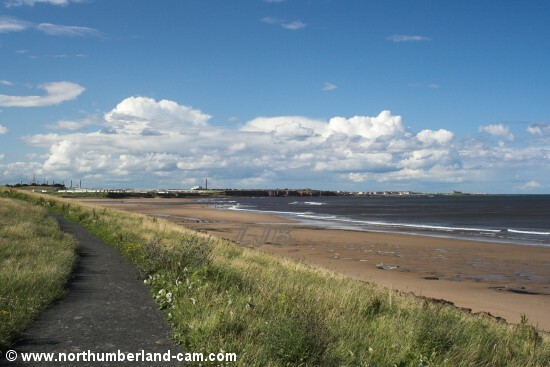 It is very popular with dog walkers but is otherwise quiet. 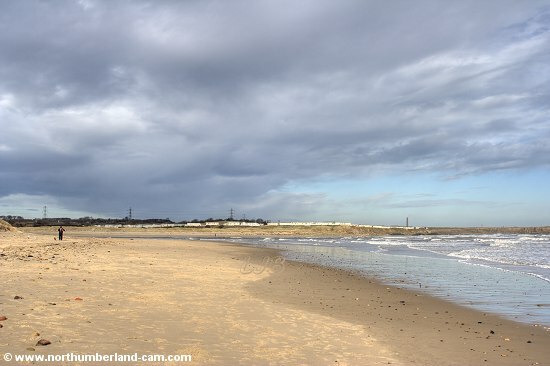 A footpath runs along the dunes above the beach for much of it's length and there are a number of car parks. 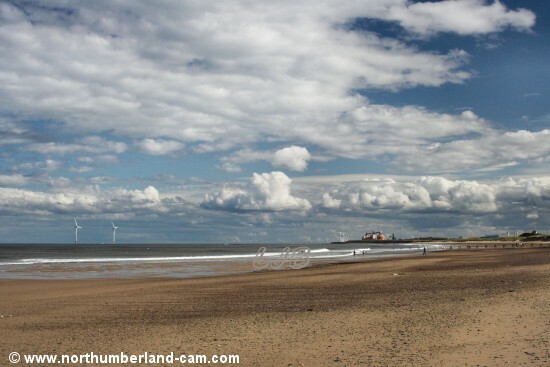 Cambois Beach looking south in summer. 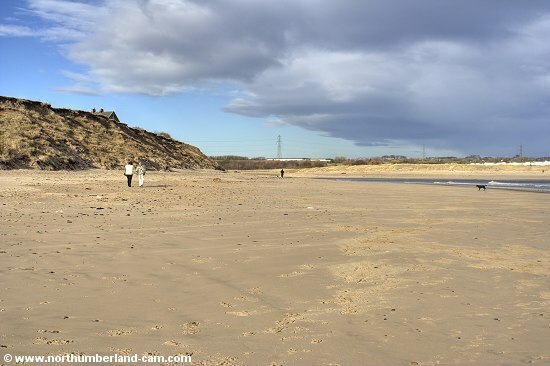 Cambois Beach looking north in summer. 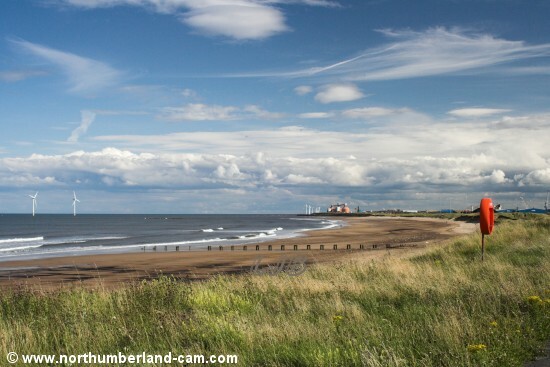 Summer evening view of Cambois Beach near the mouth of the River Wansbeck. 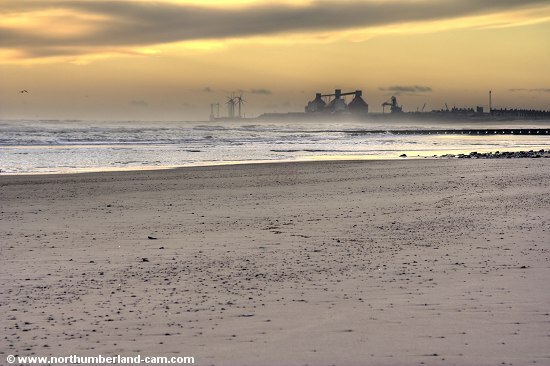 Winter morning views of Cambois Beach near the mouth of the River Wansbeck. 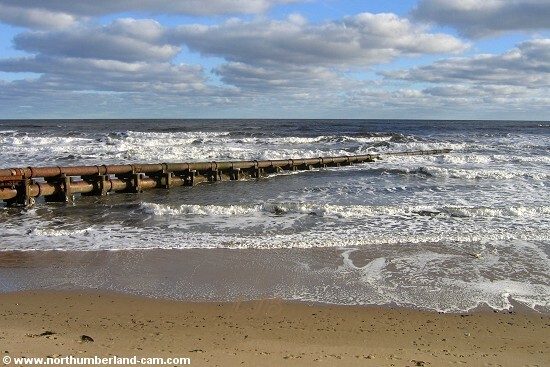 View north along the beach on a cold winter day. Pipes running into the sea. 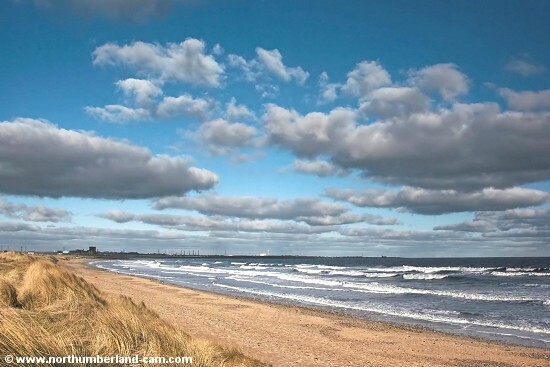 Summer evening view of Cambois Beach looking towards Blyth. 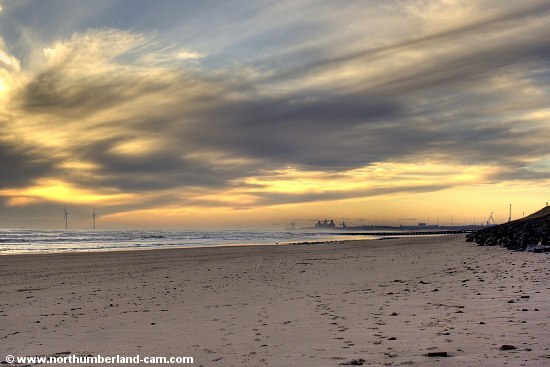 Cambois Beach at sunrise in winter.